Sometimes you have a completely blank canvas. And sometimes you have the collage that your client made with their grandpappy back when they was just a kid. 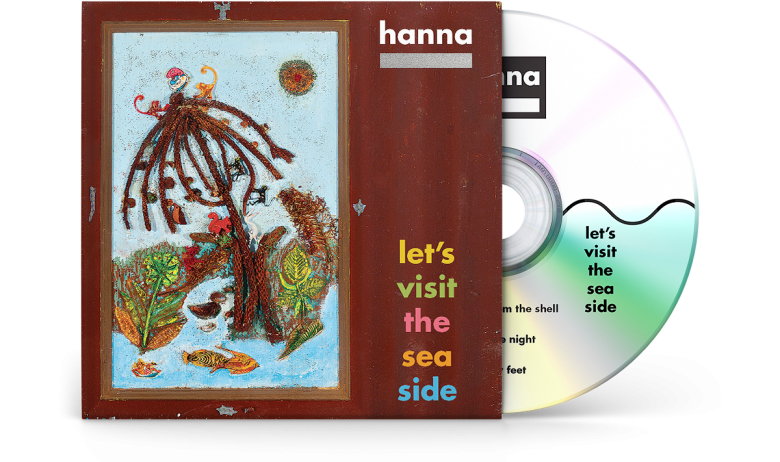 This was one of those times, and my challenge was to find a cohesive way of incorporating this fantastically eccentric collage into the artwork of Hanna’s evocatively titled EP, ‘Let’s Visit The Seaside’. 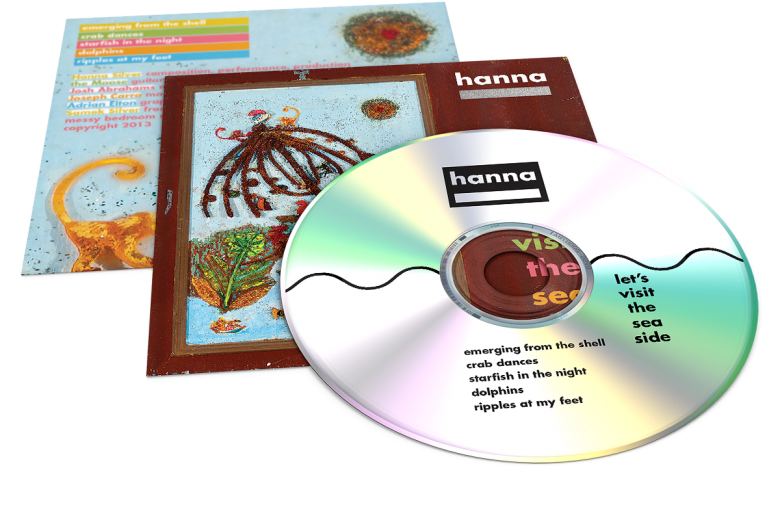 As it clearly represented a visceral and nostalgic link to an incredibly meaningful and happy time in Hanna’s life, my job was to let it take centre stage, complementing it through the related use of typography and colour. From the Papa Smurf sticker, to the Barrel of Monkeys chimp, the quirky hand made nature of the collage locked in perfectly with Hanna’s quirky love affair with analogue synthesisers and their idiosyncratic physicality. The candy rainbow colour palette helped to convey a sense of childhood naivety, while elements from the collage, including a galaxy of glitter, helped to articulate other parts of the design. The design of Hanna’s name was imbued with the same spirit of playfulness, as instead of spelling her surname with letters, we replaced it with a bold stripe of metallic silver ink. The music itself explores the theme of ocean life and evokes Stevie Wonder’s 70s experimental instrumental magnum opus, ‘The Secret Life of Plants’.